Recently, I have been visiting the area of Sepolia quite often for romantic affairs. One of them is that my boyfriend lives there and the other is the kebab of Rodi – or Agkop as the locals prefer to call this place that serves kebabs that are as tasty, juicy and as light as a kebab can be. 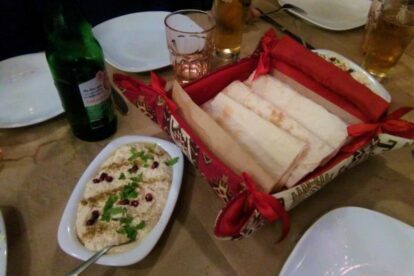 Besides the kebab and hummus, Rodi has a big variety of other Asia Minor dishes. Usually, we order at my boyfriend’s place and watch crap TV. The restaurant has a big seating area which is quite interesting as it has heavy decorations and its aesthetics resemble those of the average early 90s Greek family living room. In any case, the space is comfy and the food is superb. They are good enough reasons to pay a visit to Rodi!